Active trading doesn’t have to start with learning complicated formulas of technical indicators. For a new trader trying to understand the market, price action trading is a superior choice. You won’t hear this from experienced traders who are using indicators. But this is not because they want to mislead you. It’s just that they’ve been trading long enough. Thus, they’ve overcome the initial shortcomings of indicators. Most of them cannot imagine how it would be like if they had started with price action trading instead. Hence, they cannot appreciate the benefits of price action trading for a novice trader. In that case, why do I conclude that price action trading is a better choice for new traders? I’ve spoken to many aspiring traders. Those who started with price action trading tend to have realistic expectations. Those armed with an array of indicators tend to search for the Holy Grail. They want to find the magical combination of indicators and settings to make money immediately. Their favourite question is what parameters should I use for MACD/RSI/CCI/ADX? Countless traders wish that they had started with price action instead of indicators. Yet, I’ve not met a single trader who wish that he had started with indicators instead of price action. 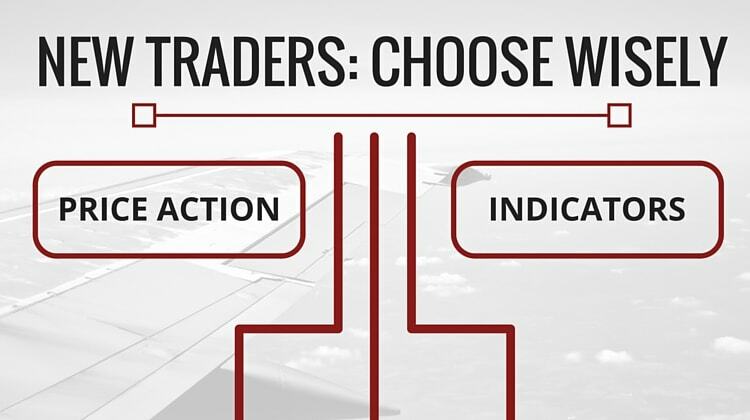 Read on to understand why, as a new trader, price action trading offers the best launchpad. Becoming a consistent trader is a long journey. It takes at least a few years of intensive effort. 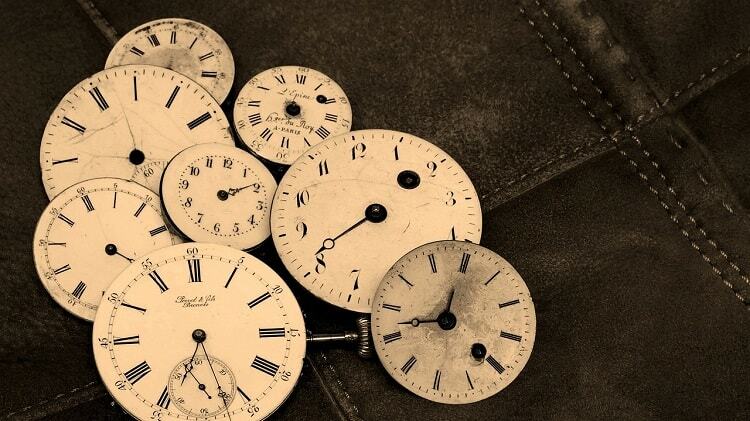 As a new trader, time is precious. You should focus on studying the market. You should spend your time observing the market. A simple approach like price action trading allows you to do just that. Price is the only thing you need to focus on. It helps you to avoid distractions. With a singular focus on price, it’s easier to learn how the market behaves and speed up your progress. To learn price action trading, you need nothing more than a basic charting platform. You do not need to check if the platform has the indicators you need. You do not need to verify if the indicator you bought will work in your trading platform. 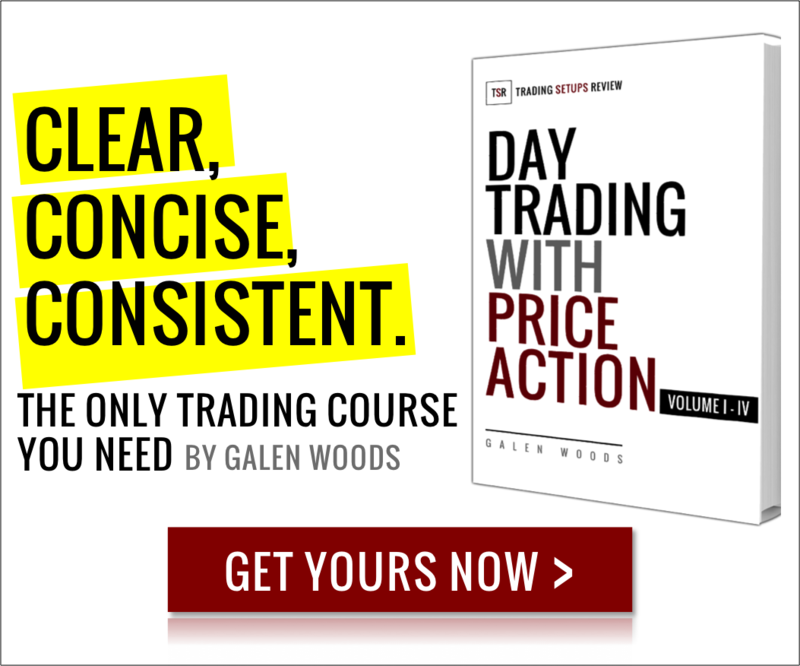 You can start examining price bars straightaway, and sustain your learning momentum. If you start with indicators, you will encounter complicated formula with infinite possible parameters. You will waste time selecting indicators and trying out different settings. With indicators, new traders tend to go on a wild goose chase before learning how the market behaves. 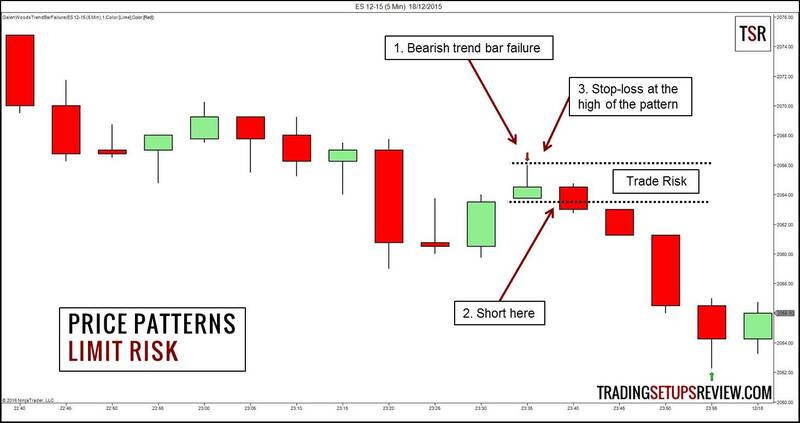 To a new trader, indicators make trading look easy. Trading is about waiting for the RSI indicator to fall below 30 before you buy. The next step is of course to sell when the RSI rises above 70. Simple and neat. Trading is easy, except that it’s not. In essence, indicators cause a new trader to focus on signals. And signals prompt the trader to trade. This is a bad start into the trading profession. Why? This might sound paradoxical. But for a new trader, the first thing to learn is when not to trade. You should observe, study, and analyze the market. You should learn to recognize what is going on in the market and pay attention to the market context. Trading comes after you are able to read the market. Seasoned traders know that trading signals are secondary. If you can get the market trend right, there are dozens of ways to enter the market. However, most traders learn this the hard way. Right from the start, we waste a lot of time chasing after trade signals instead of studying the market’s big picture. In this aspect, price action trading is helpful. It instills the importance of analysis. 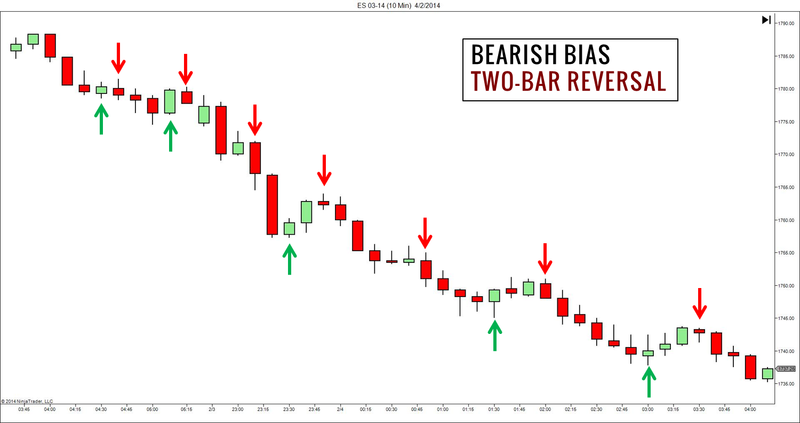 Watch each price bar as it forms, and interpret its impact on your market hypothesis. This is how you learn price action trading. This approach emphasizes analysis and patience, instead of buy and sell signals. A price action trader uses price patterns to enter the market. Most price patterns have an implied stop-loss level. A bullish price pattern suggests that the market will rise. Hence, the market should not fall below the price pattern. If it does, the price pattern has failed and it’s wise to exit the trading position. The same logic works for a bearish pattern. Look at the Trend Bar Failure example below. If the market rises above the high of the pattern, we know that the price pattern has failed and it’s time to cover our short position. Each price pattern has a natural and logical stop-loss point. As you pick up price patterns, you are naturally exposed to the possibility of losing trades. This is the key. New traders need to embrace the reality of inevitable losing trades as early as possible. And learning about price patterns is a great first step to appreciating trading risk. On the other hand, indicator signals do not have an obvious stop-loss level. For instance, you bought after the Stochastic indicator turned up from an oversold level. When does the signal become invalid? At which price level will you concede that the signal has failed? These are important questions that beginners will not think of asking. A prudent beginner might understand the need to limit risk. However, there’s no obvious method to place stop-losses for indicator signals. Hence, many novices resort to setting their stop-loss based on how much they are willing to risk. That is a common mistake. Setting stop-losses without considering price and volatility leads to failure in the long run. Do not take the above to mean that indicators are useless and evil. Indicators are not useless, but they are more useful to a trader who appreciates price action. Aspiring traders often focus on the wrong things. They focus on trading, strategies, and perfection. What they should learn and appreciate are analysis, risk management, and patience. Price action trading encourages the right trading perspective. For this, it is well-suited for beginners. But as always, the trader is the most important piece of the puzzle. You can rely on price action but still focus on the wrong things. Price action trading makes it easier, but you need to make it work with the right mindset. Mr. Woods your logic and synopsis are excellent . Very good article. Agree wuth you totally. Congratulations. Thanks for the comment. Glad to help! Hi Kenneth, glad you find the articles useful. Do check out this page for a compilation of price action articles. Thanks for the valuable information. But I think that everything should work together, an example of this is confirmation. In Figure 1, the price action indicated a downward movement, but the indicators were in the oversold zone. As a result, in Figure 2 we see a continuation of the upward trend over a short period of time. (Sorry for my English, I write via Google translator). Thank you for the charts! Both price action and indicators can be helpful if you are skilled in using them, or combining them like in this case. Ultimately, it’s the mindset with which we employ them that’s crucial.